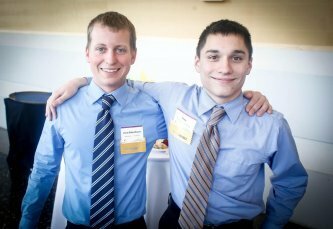 Make a match - help introduce a life-changing friendship! Your monthly giving allows Big Brothers Big Sisters of Northeast Indiana to create a perfect match between a child in need and a caring adult volunteer. These professionally created and supported friendships make a true impact in the lives of “Bigs”, “Littles”, families and the entire community. By clicking the above button you agree to have your debit or credit card or bank account charged by Big Brothers Big Sisters of Northeast Indiana. By clicking the above button you agree to submit offline payment to Big Brothers Big Sisters of Northeast Indiana. Call 260.203.3322 or email [email protected]. 1005 W. Rudisill Blvd., Fort Wayne, IN 46807 US.